Nomsa heads up a team of programme and advocacy specialists that support the Trust’s work in Women’s and Children’s rights on the African continent. Prior to her appointment as CEO, she held the position of Executive Director of New Faces New Voices (NFNV) for five years where she was at the forefront of initiatives aimed at increasing women’s financial inclusion. Through various NFNV programmes, Nomsa was instrumental in developing research projects to advance women’s financial inclusion in countries including Mozambique, Zambia and South Africa. During her time as Executive Director, she also managed the NFNV Chapter Network, comprising 15 Chapters across the continent, involved in various activities linked to women’s financial literacy, access to finance, strengthening the business environment for women entrepreneurs, and fast tracking women’s leadership in the financial sector. She has also served as a Trustee of the Graça Machel Trust Board of Trustees and has harnessed her experience in advocacy, policy development, donor engagement, network building and leadership within the global NGO landscape to amplify the work of the Graça Machel Trust. Nomsa enjoys a wealth of private sector experience, having worked extensively in the investment arena. 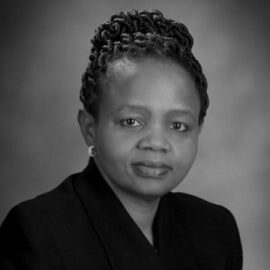 In her role as Executive Director of Scientific Resource Management Holdings, her company invested in start-ups, early-stage businesses, and established companies in South Africa. Its portfolio included investments in information technology, aerospace, financial services and e-commerce.